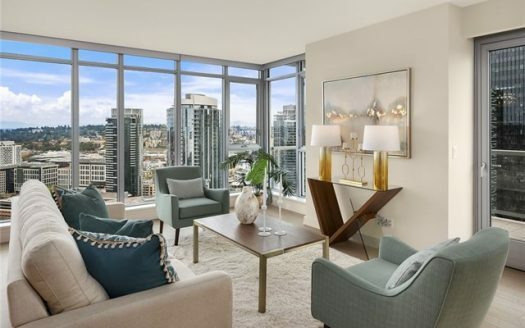 Cristalla is Seattle’s newest occupied high-rise building. 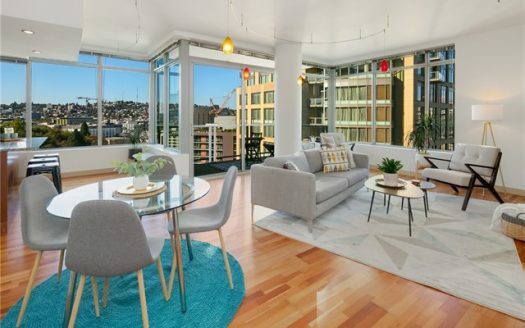 This 16th floor unit boasts views of Puget Sound, Mountains, Space Needle, & lights of Downtown Seattle. Slab granite/marble throughout, hardwood floors, w/ cherry cabinets. 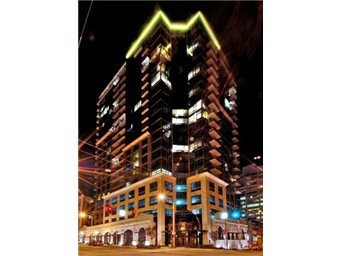 The finest amenities; 24-HR Concierge, fitness center with views, hot tub, theater room and hi-tech business ctr. Roof-top sky terrace with fireplace, dog park & nearly 360 degree views. 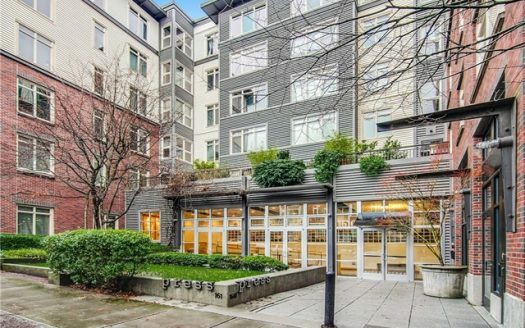 With 2 spots for parking this in-city oasis has it all.